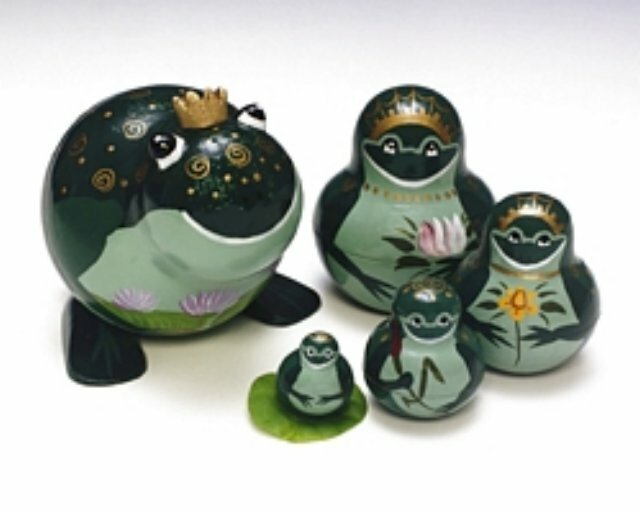 Beautiful hand painted details adorn this royal family of nesting frogs. Nest them inside each other or line them up for an enchanting display. Largest frog measures 2 1/2" tall.